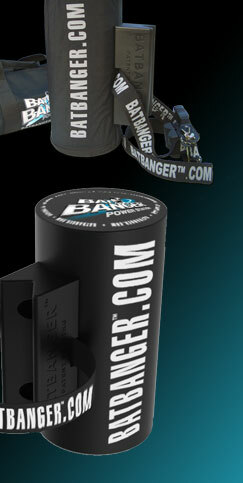 The BATBANGER™ Power Station builds batting power and neuro-muscle memory while helping improve grip, stance, stride, eye-line, bat angle and swing. Multiply the mass of the entire body with explosive bat speed and you get power! The BATBANGER™ Power Station strengthens hands, arms and shoulders while developing the technique and mechanics that put the mass of the legs, hips, torso and core muscles behind every swing to send the outfield deep.